Sitara Ghattamaneni, the love of Superstar Mahesh Babu and his wife Namratha is all grown up! Every now and then, Namratha posts her pictures on the social media and celebrates parenthood. The cute looking Sitara has a positive face that easily attracts one and all. 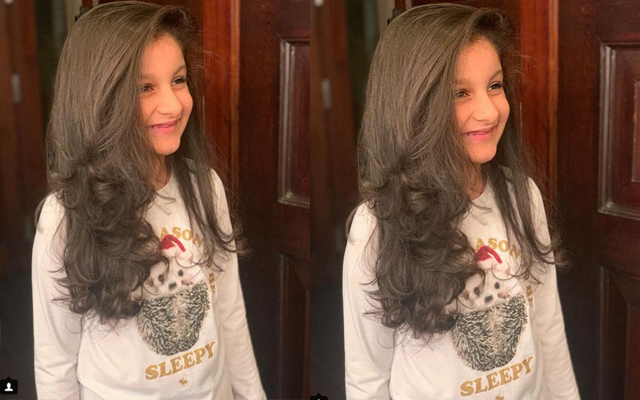 Now, on Wednesday, Namratha Mahesh posted a picture of Sitara on Instagram which is currently trending viral on the social media. The fans have started sharing the picture in a lot of fan groups as the picture is too cute that we cannot resist giving a like! Namratha posted the picture and captioned it as, "Cuteness overloaded." Sitara is wearing a natural smile with loose hair and is sending all positive vibes with it. Within a less time, the picture received a lot of likes/loves from the fans.